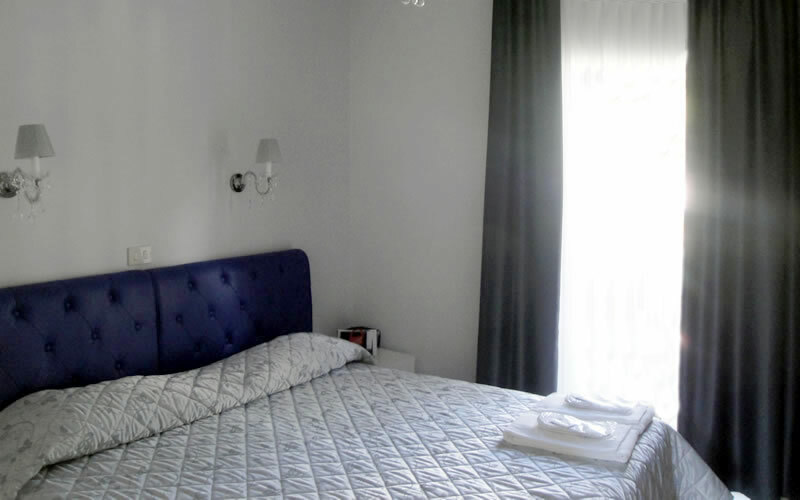 The rooms are decorated in Neoclassical style with colors from white to blue in silver finish to create the environment cool and comfortable, all the beds are padded with faux leather king size (2m x1m) mattresses and extra comfort new generation, all strictly hypoallergenic. All the rooms are equipped with a bath or shower or Jacuzzi. The rooms have a terrace overlooking the most famous pedestrian street in Europe or without balcony but with sea view and are equipped with air conditioning automated, safe, direct telephone in the 60's style, 24-inch LCD TV with Sky Vision Gold and canals Pay for view not to miss your favorite shows. In the bathroom, cozy and welcoming, you can find a comfortable bath tub or shower, hairdryer, slippers and toiletries.